Breaking: The Bangalore-based Centre for Internet and Society (CIS) has carried out an undercover investigation into the “chilling effects” of new information technology laws on freedom of expression online, with six out of seven major websites removing innocent content online without proper investigation, creating a “private censorship regime”. 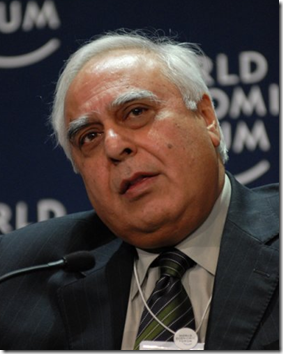 CIS’ still unpublished draft report, a copy of which Legally India has seen, was prepared before yesterday’s controversial announcement by India’s minister of communications and IT Kapil Sibal, who said that he was talking to major intermediaries on the web, such as Facebook, Google and Yahoo, to actively prevent “blasphemous” content from being posted online by users. Earlier this year a CIS researcher and lawyer had sent “fraudulent” takedown letters to seven internet companies making claims without providing any evidence that certain third-party content violated provisions under the Information Technology (Intermediaries Guidelines) Rules, explained Sunil Abraham, executive director of CIS. The rules, which were came into force in April 2011, aimed to limit the liability of web sites acting as intermediary publishers of information, if they comply to a takedown mechanism, but CIS said in its report that the rules were “procedurally flawed” because they ignored all principles of “natural justice”. The researchers sent a notice to two Indian news website claiming without evidence that a reader’s comment related to the Telengana movement under a news article was “disparaging”, “racially and ethnically objectionable”, “hateful” and “defamatory”. One website removed two comments, while the other went even beyond the researcher’s request to remove only one comment and within 72 hours removed all 15 comments left by readers on the article. “This is just the tip of the iceberg,” commented Abraham, adding that he was told by at least one major international intermediary company operating in India that it was “constantly” receiving takedown requests. Luthra & Luthra partner Ameet Datta commented that many intermediaries in India might not have the “wherewithal or patience” to deal with takedown requests appropriately, unlike larger companies such as Google. “They would rather take down information, because the user agreement would allow them that discretion – for them, perhaps they would rather remove it than face a legal dispute,” said Datta. In October Legally India reported that Congress Party secretary Digvijay Singh filed criminal cases and takedown requests via his lawyers Kochhar & Co under the IT Act against Facebook, Twitter and other web sites. In June 2011, Legally India faced an order obtained ex parte by a law firm in the Cyber Regulations Appellate Tribunal, injuncting Legally India under the IT Act from publishing information for five weeks. The constitutional validity of these new IT Rules will certainly be challenged before some High Court or the Supreme Court in the near future as these rules violate freedom of expression guaranteed under Article 19 of the Constitution. Additionally the rules are ambiguous and arbitrary and violate Article 14 and the concept of "Rule of law". If that is not enough, the rules have also infringed on the rights of state governments to make laws on subjects which have been exclusively granted to them under the Seventh Schedule of the Constitution. As long as there's only a thin line dividing between what's harmful and what's offensive contents being published on the internet, Big Brothers such as Sibal would continue to sound 'politically correct'. Since we write about subjects who are by definition often litigious, yes, unfortunately we occasionally 'censor' comments that are offensive to identifiable individuals or potentially expose us to legal liability. However, generally we aim for a robust approach and resist the vast majority of take-down requests we receive. If you believe any content has been removed in error, please do not hesitate to contact us.